Conversion of a former primary school to an outdoor pursuit’s lodge and cafe. 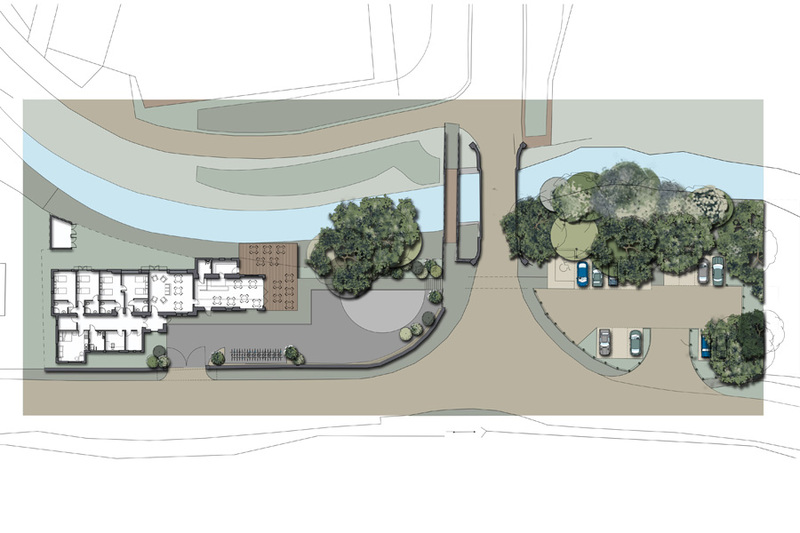 cb3 design prepared a preliminary scheme for this leisure and tourism focussed enterprise. It was anticipated that the lodge would be used for short stays by groups and individuals such as road cyclists, mountain bikers, walkers and others involved in outdoor pursuits in the local area. 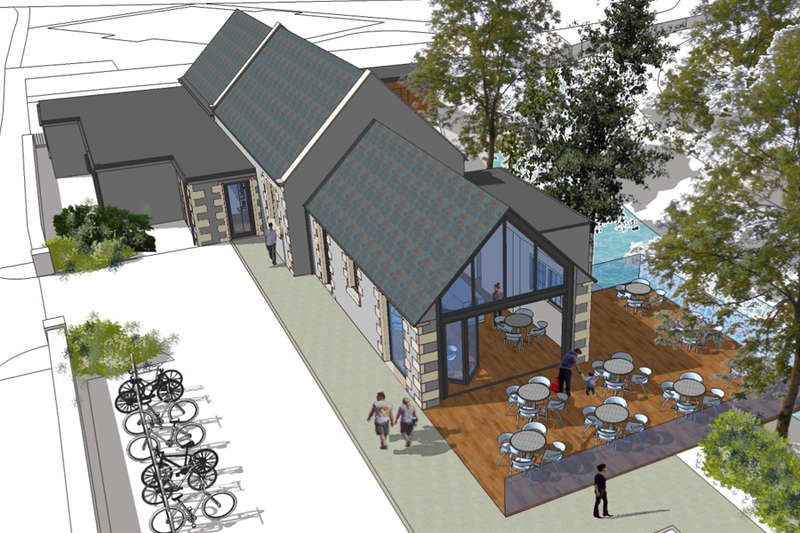 The café would provide facilities to those staying in the lodge, but would also be open to the general public. The site presented significant challenges in terms of securing adequate parking, meeting highways requirements and addressing flooding considerations. The project was pursued to the point where these issues had been successfully overcome and a formal planning permission was imminent. The unsympathetic modern extensions to the school were to be stripped away and former window and door openings were to be re-instated. The former classrooms were to be sub-divided to provide the bedroom accommodation. The largest alteration proposed was for a full height glazed screen to the café; this would provide more suitable levels of daylighting, open the space to the proposed landscaping and act as a ‘shop window’ for the business. An ‘honest’ approach was proposed for the alterations to the building; modern insertions would retain the integrity of the majority of the existing openings whilst also allowing a reading of the history of the building.